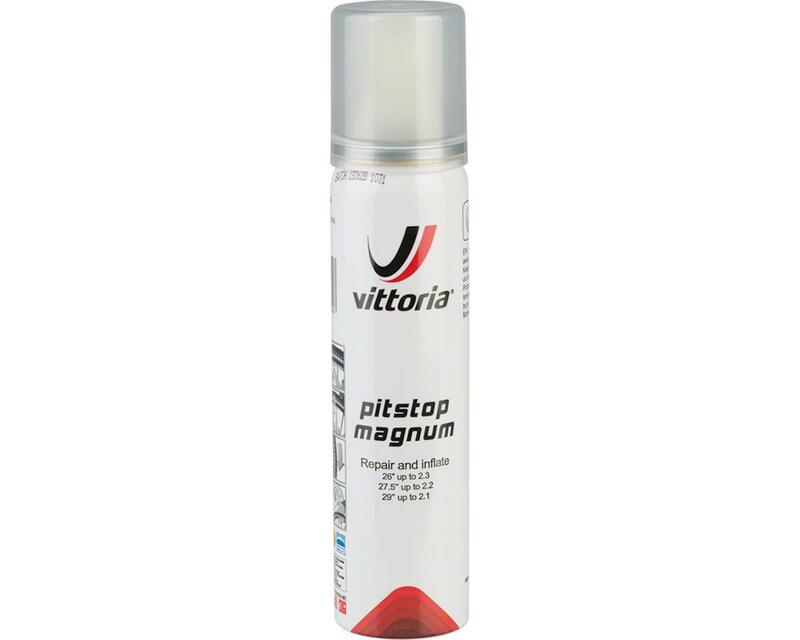 A puncture repair that works on butyl tubes, latex tubes, and tubeless tires. A lightweight foam that is easy to use and less messy than liquids. It will fit both Presta and Schrader valves. Alternatively, you can use Pitstop to pre-empt flats by loading a new tire. Tubes and tubulars can continue to be used normally after application. Inflates up to: 26x2.30", 27.5x2.20", 29x2.10"